Just one new addition to the shelves this week, but it's an exciting one. Aidan Moher is a blogger I've been following for years now over at A Dribble of Ink, so when he announced that he was self-publishing a collection of short stories, I was certainly intrigued. He'll be stopping by for a guest post on the 12th, and with his collection already in hand I'm hoping to have a review to run that week as well. 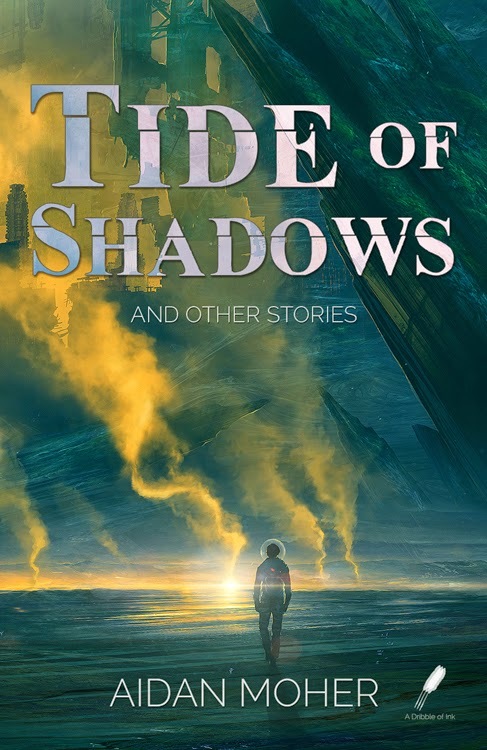 From Aidan Moher—Hugo Award-winning editor of A Dribble of Ink—comes Tide of Shadows and Other Stories, a collection of five science fiction and fantasy stories spanning adventure, comic whimsy, and powerful drama—from a star-faring military science fiction tale of love and sacrifice, to a romp through the dragon-infested Kingdom of Copperkettle Vale. “A Night for Spirits and Snowflakes” is the story of a young man reliving the last moments of his fellow soldiers’ lives; “The Girl with Wings of Iron and Down” tells the tale of a broken family and a girl with mechanical wings; “Of Parnassus and Princes, Damsels and Dragons” introduces a typical prince, princess, and dragon—and a not-so-typical love triangle; “The Colour of the Sky on the Day the World Ended” follows a girl and her ghost dog as they search for a bright light in the darkness; and “Tide of Shadows” is about a soldier and his lover, a mother, and planetwide genocide. I've admittedly been all over the map these past two weeks, with more titles on the go than are probably wise, but I'm in the mood for a bit of everything . . . and that's what I'm enjoying. On the plus side, there's going to be a killer glut of reviews coming. Nina Wilde and Eddie Chase are back in their latest archaeological adventure. These novels are pure pulp, a mixture of Indiana Jones, James Bond, Dirk Pitt, and Frank Martin (The Transporter), complete with insane chases, explosions, treasure, and a whole lot of fun. Anybody who thought I could sit on this until closer to the release date is crazy! 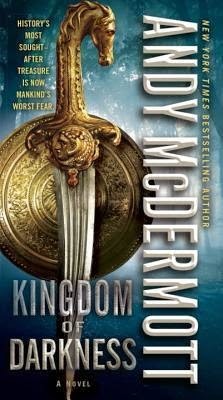 It's a book that gets off to a rollicking, dinosaur-laden start, with some of the most inventive battles I've ever read, interesting characters, intricate conspiracies, and a biting edge to the narrative. This is a book that somehow slipped by me when it was first released, but the blurb for the upcoming sequel caught my attention. 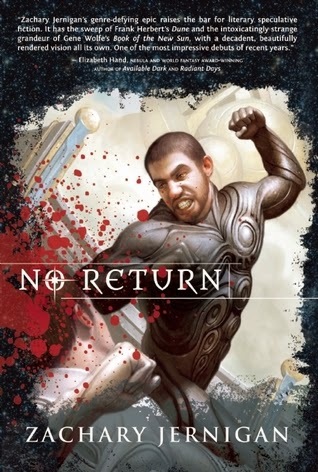 It's a different sort of fantasy epic, a violent, sexually-charged, apocalyptic sci-fi/fantasy hybrid . . . and I'm enjoying it. This was going to be a WTF Friday read for this week, but too much travel, combined with the need to sit out on the back deck with a nice paperback (Kingdom of Darkness) conspired to push it out a week. Still, I'm anxious to see how Johnson follows up Dungeons & Drag Queens. A to Z Challenge archaeology bizarro dinosaurs epic fantasy Mailbox Monday sci-fi Stacking The Shelves What Are You Reading? Kingdom was a lot of fun - a definite weekend page turner. It falls into all the genre tropes, but kind of winks about it to the reader. Good to know The Dinosaur Lords is good so far. Oh, I didn't know about the Aidan Moher anthology, that's interesting and good for him. And ditto about Dinosaur Lords, I'm intrigued, but I think I'll wait for early reviews to decide whether or not I'll get the book. Looking forward to your thoughts! The style is a bit odd, so I'm reserving judgement until I see how it all resolves, but I am enjoying it. Mogsy, the Aidan Moher book isn't an anthology - it is a collection of five stories. I will be interviewing Aidan about it on my blog on May 11, the day before he guest posts on this site. Can't wait to hear how Dragon Lords is! Some great action books this week.